This is a fine 1951 SOLID 14k. 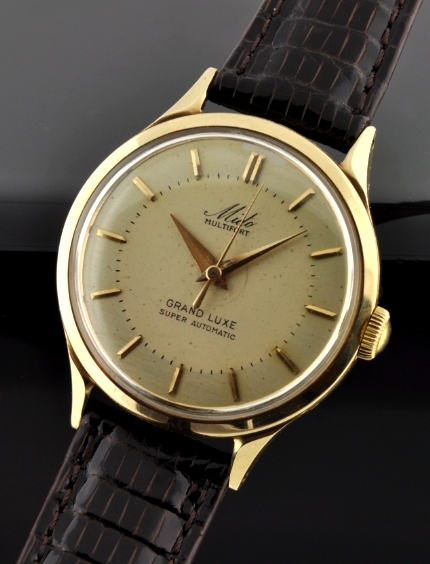 yellow gold Mido Multifort Grand Luxe automatic winding watch from the 1950’s measuring 34mm. across and 41mm. lug to lug. 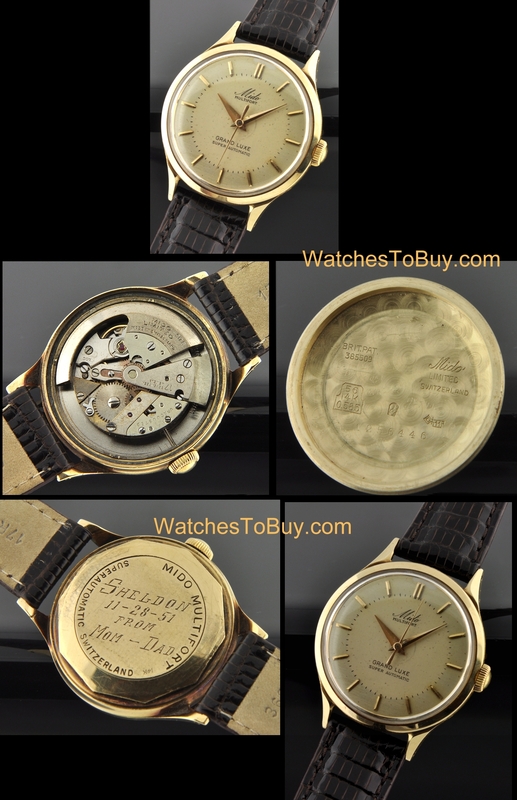 The dial was restored MANY tears ago and looks quite vintage with its fine patina. The original Dauphine hands complete the look. The reliable and fine MIDO automatic winding movement was just cleaned and is accurate. This watch has an all dial appearance, so it looks larger on the wrist than its actual 34mm.. There is a substantial amount of 14k. gold in this heavy screw back case with nostalgic inscription dating to 1951.